This Omega English product contains a printable 3-2-1 Exit Ticket that can be used at the end of any lesson. 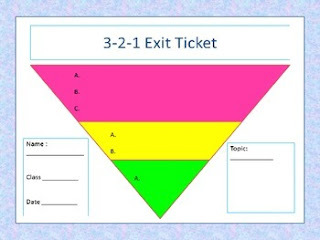 Teachers have the option to customize the sequence (3-2-1) for each lesson; thus, each Exit Ticket is unique and focused. Don’t forget to follow my store, Omega English , for more great lessons, bundles, and free monthly downloads!